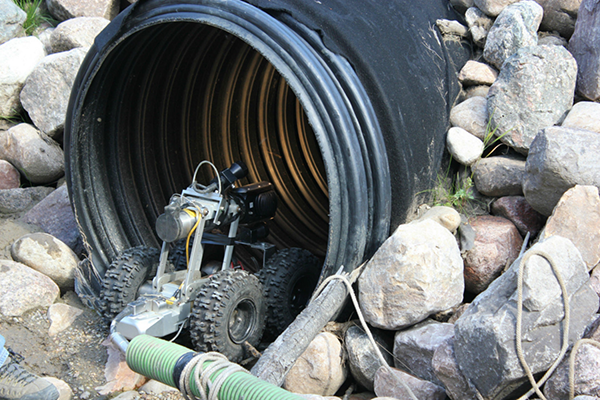 Video Line Inspection is a relatively new technology that’s been rapidly embraced by Edenflo as best way to diagnose a problem with a sewer system. 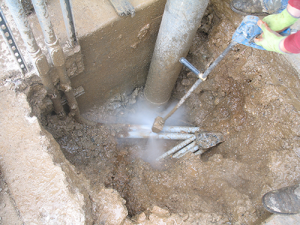 Our technicians are certified by Pipeline Assessment and Certification Program, which is widely accepted as the industry standard system for coding defects and construction features in pipes and sewers. They are able to determine exactly what, and where, the problem is in your septic or sewer drain with the use of a specially designed CCTV (closed circuit TV) camera. The camera is fed into the system, and can pinpoint problems, large and small, in the waste drains in your home or commercial premises. Our expertise in the business of sewer and septic systems comes into play in interpreting the information the video provides. It’s dark down there, and everything tends to look kind of the same. Our experienced technicians can tell the subtle differences between a dirty pipe (and they’re all dirty) and a clog, or a weakened sidewall that’s leaking. Armed with the information that the video reconnaissance gives them, we can propose the most economical fix. 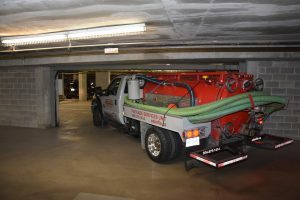 In most cases, we can use our hydro-jet equipment to clear a clogged system quickly and efficiently, so you can get back to the things that are important to you. In addition to diagnosing problems, Video Line Inspection can be used to evaluate the overall condition of your septic and sewer lines, a great idea as part of general preventive maintenance, and helpful when considering purchase of a resale property. For more information about Video Line Inspection and other services offered by Edenflo, call 604-575-1414 or fill out our online request for service. 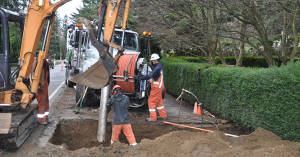 This entry was posted in Video Line Inspection and tagged bc lower mainland pump truck services, bc lower mainland video line inspection, delta video line inspection services, langley video line inspection services, surrey video line inspection services, vancouver video line inspection services, white rock video line inspection on March 17, 2015 by Edenflo.